To ensure that our family (mostly our moms) and friends have some piece of mind while we're sailing north, we got a tracking device--a DeLorme inReach. The tiny handheld allows us to send and receive text messages when we're outside of cell phone range (which will be for several days) and allows others to track our path online. 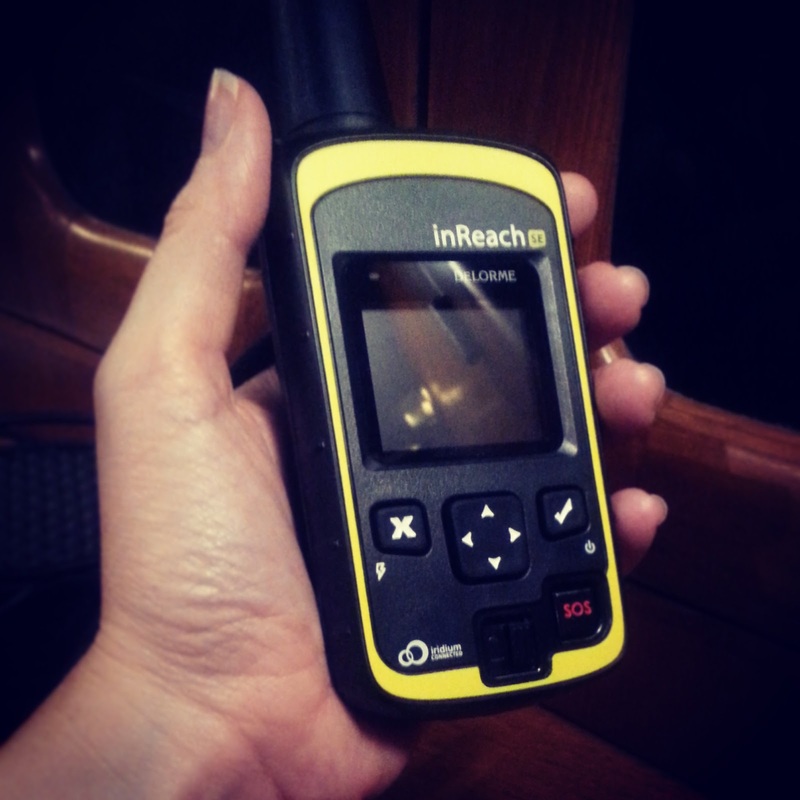 If you're interested, you can read all about how the inReach SE works here. So, if you want to keep an eye on us while we're sailing north, visit our tracking page: https://share.delorme.com/EricSinger. We have several pre-set text messages (stuff like, "We're OK"), which we will post to the site as well as my personal Facebook page. Even though they are pre-set messages without much substance, we will still need to initiate the text being sent, so you'll know we're on the other end.